A draft five-year plan to guide where state fisheries managers will focus their future efforts is getting mixed reviews from anglers and fishing groups, who largely support it but criticize its lack of specificity. The public comment period for the 32-page strategic plan closed on Feb. 10. 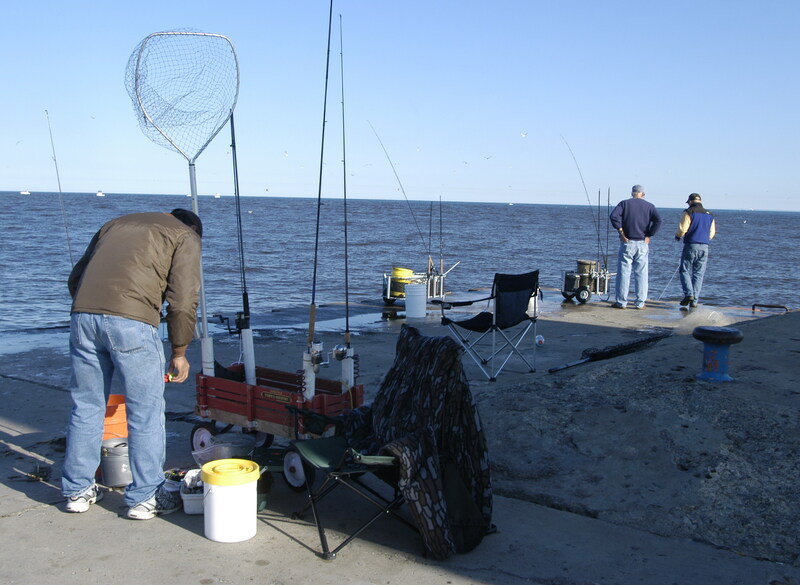 The document and accompanying survey results can be found on the DNR website: under Fisheries. “The overall work product was good; they came up with goals, objectives and strategies, but I was disappointed with its lack of specificity, said Dennis Eade, executive director for Michigan Steelhead and Salmon Fisherman’s Association. “The most glaring (omission) was any mention of gaining additional public access to lakes and water resources in southwest and southeast Michigan. State officials say those details will come later in operational plans for each of the goals. The strategy was intended to lay out high-level goals and objectives. The strategy also makes a clear in a “What If” section that more adequate and stable funding is needed to achieve all the listed goals and what will happen if those funds cannot be found. It states, for instance, that without adequate funds there is a greater risk of fish mortality in hatchery production, one or more hatcheries may be closed, and that staff will be less available to investigate large fish kills, among other things. Walleye production and muskellunge, brown trout and northern pike could all be reduced. Other reductions are listed in every goal category. “What If” also specifies what could be accomplished with additional funds, including: increased steelhead production, the development of cool water production facilities, purchasing a new boat for Great Lakes research, seeking new access to fisheries in urban areas, and adding staff among many other things. “We took an 8 percent budget reduction in 2012 from $29.1 million to $27.3 million. That’s huge,” Dexter said. “Our funding model is broken. We operate totally on a user-pay system and number of users has been going down steadily. Frank Krist, a member of the Hammond Bay Anglers Association chairman for the Lake Huron Citizens Advisory Committee said he liked the plan overall. He favors the DNR working in partnership with groups and says there is more need for the public education and angler recruitment, both called for in the plan. But Krist is worried about the funding issue. He called it “the biggest obstacle” to moving forward. Denny Grinold, chairman for the Lake Michigan Citizens Advisory Committee and a charter captain out of Grand Haven, said he thinks anglers would be willing to pay more for a fishing licenses knowing what they would get for the increase. He said the DNR fisheries division is understaffed to do the work needed for invasive species control and monitoring, among other things. Bryan Burroughs, executive director for Michigan Trout Unlimited also wanted to see more specifics. His group has been pushing for greater focus on inland fisheries, in particular for trout. Burroughs said the plan was too vague. “There is some good stuff in this report, but you can read it and be left skeptical,” Burroughs said. “Things sound good, but you can’t tell how they will do anything differently. I didn’t get a sense of their priorities other than general ones. “We’d like to know the details. How will they address invasive species? Which employees would be shifted to look for Asian Carp? How much will they spend? We’d like to see more social and economic science. Will there be a research budget? Drew YoungeDyke, grassroots manager for Michigan United Conservation Clubs called the strategy “a really clear vision for fisheries management.” He would like more detail about proposed stream restoration efforts but thought the plan, overall, was appropriately broad. This entry was posted in Uncategorized and tagged DNR, Fishing, Great Lakes, Hammond Bay Anglers Association, Michigan Department of Natural Resources, Michigan Salmon and Steelhead Fisherman's Association, Michigan Steelheaders, Steelhead, Sustainable fisheries, Trout, Trout Unlimited. Bookmark the permalink. I don’t envy the DNR and the task ahead of them. So many different fishing organizations in the state and they want all the resources dedicated to their interest. I hope the fisheries people can make it all work. I don’t envy the job the DNR has. So many constraints and so many organizations wanting all the resources dedicated to their interest. I hope they can make it happen. Mark: Agreed. The other big issue is money. People always want more but don’t want to have to pay for it. . Per comment of Dennis Eade, executive director for Michigan Steelhead and Salmon Fisherman’s Association. “The most glaring (omission) was any mention of gaining additional public access to lakes and water resources in southwest and southeast Michigan. Howard also mentioned The other big issue is money. Both comments are true. The report never mentioned how the Republicans are trying to steal the NRTF money which funds public access sites in southwest and southeast Michigan.